It’s a simple question, but one that matters. It’s the driving force behind why we do what we do and brings about change, which leads to progress. And if you’re lucky, you have a shot at being able to meaningfully improve the lives of billions. Two years ago, we decided to focus our attention and resources on the problems people face in the financial services sector. According to the FDIC, there are over 68 million adults, or one in five people, in the U.S. who either don’t have a bank account or rely on “alternative financial services” like check cashers and money remitters, and this number is growing. Globally speaking, there are about 2.4 billion whose needs aren’t being met. The cost of being disconnected from the global financial system and alternative financial services - like check cashers and money remitters - is high. Even more shocking is the fact that these costs are borne by those who can least afford them. We challenged the notion that the status quo was the best we can do as a society. And when we entered the tax refund space, it was clear to us that the incumbents were quite satisfied with the way things were and didn’t appreciate the idea of a new entrant bringing incendiary ideas like efficiency, technology, and *gasp* new options for consumers into their market. The industry is just fine, they would muse, it’s been like this for years. Unfortunately, for the affected taxpayer, it’s been like this for far too long. You have to wonder sometimes why established players are against new choices and options for their customers. What drives them and why do they feel and behave the way that they do? What would you do if you were in their shoes? 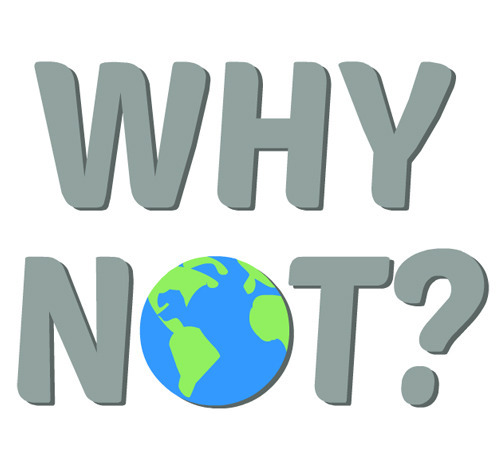 The next time you notice something unfair or not quite right, we encourage you to ask yourself “Why not?” and figure out a way to make a dent in your world.